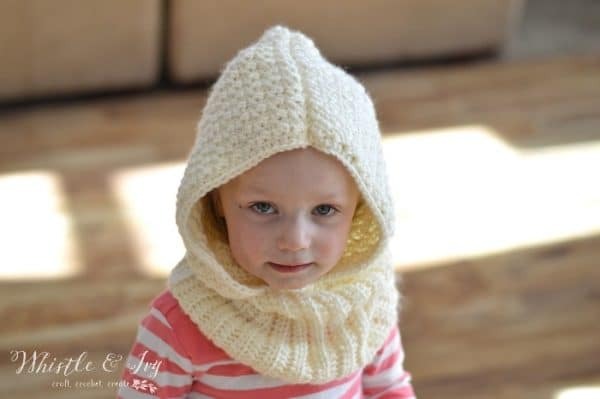 This hooded cowl has more room that the baby cowl and will fit a toddler as well as a preschooler. This hood is worked in 2 pieces, the ribbed cowl and hood. Ch 1 does NOT count. Fold cowl in half, with ribs going vertically. Sl st along where the edges meet, forming a cowl. Tie off. 2. – 50. Ch 1. *Sc, dc in same st. Sk next st.* work 16 times. Sk next st. Sc in last st. (33 sts) Turn. 51. Ch 1. Hdc in same st. Hdc 32. (33 sts). Tie off. Fold the hood in half, touching the hdc rows together. Sl st along the top forming a hood. Turn inside-out, so the seam is on the inside. Put the hood inside the cowl, right sides touching each other. Make sure the open edges of the hood are meeting in the front. Pin in place for easier sewing. 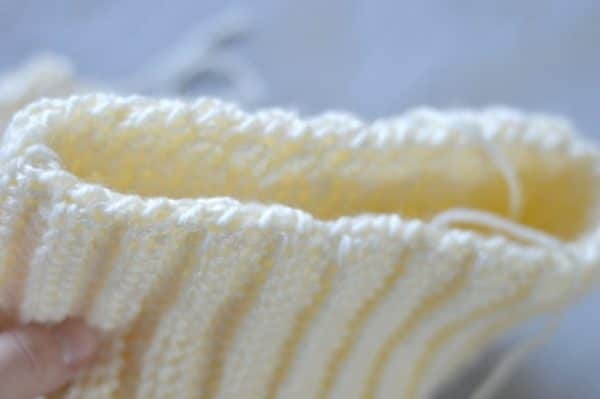 Using your needle and a length of yarn, sew the hood on where you have it pinned using the overcast stitch. 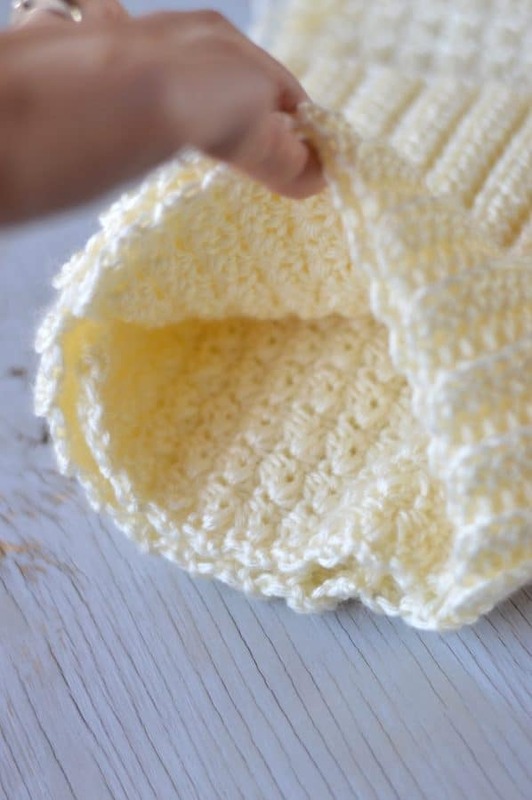 This allows the cowl to stretch where it meets the cowl. Once you are done stitching it together, weave in your ends and flip the ribbed cowl down. 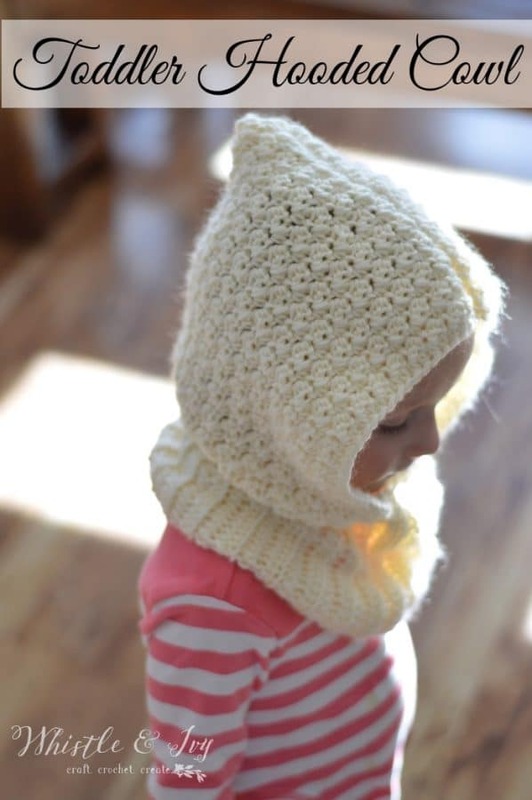 Be sure to get the baby hooded cowl pattern as well! 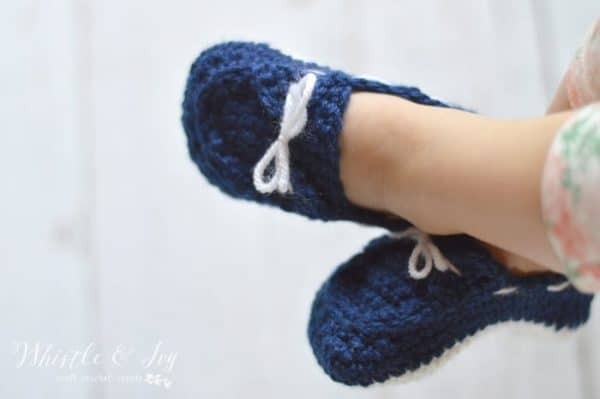 I have made 2 of these so far,One for my granddaughter and one for my niece.I am going to try enlarging it to make for my 10 year granddaughter.wish me luck. Good luck! Few extra chains on the foundation and a few extra rows ought to do it. I haven’t made it with Caron Cakes, I am sorry! 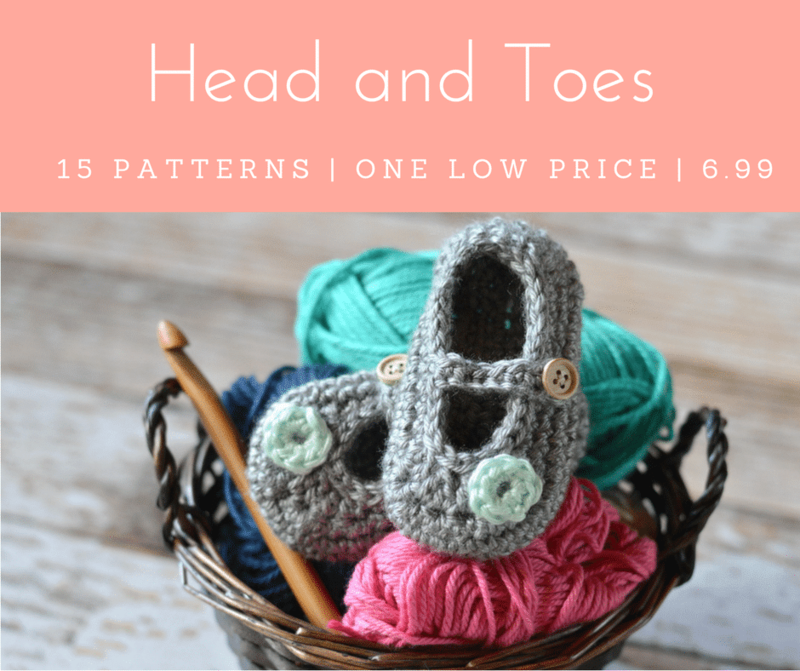 No where can I find how much med weight yarn I need to make the Toddler size? My 2yr old granddaughter has fallen in love with a ball of yarn I have, but not sure it is enough! 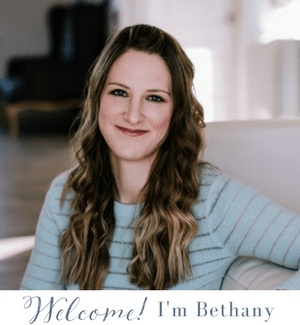 Thank you for your help…. Hello Tina! I am sorry, thank you for bringing this to may attention! You will need about 200g of yarn. I absolutely love that pattern, I have a little3yr. Old great granddaughter that will love it too. I would love to see you make one of those for an 18″ doll that would be so sweet. 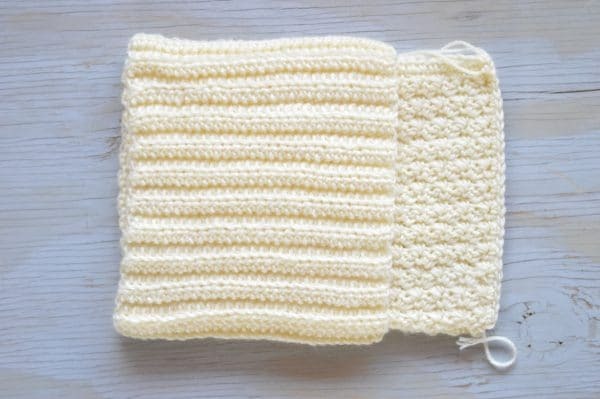 Thank you so much for the Cowl pattern. Can this be modified to fit an older child? Or, will there be a pattern for one? This is so cute but my girls are a bit older than toddlers. This hood fits up to preschoolers! but yes, you can easily make it larger by working more rows on the cowl, and starting with a few extra chains on the hood (making it taller). I’m having a problem knowing which side to sew up. I made both parts but I sewed up the hdc side. Is that wrong. Am I supposed to sew up the shorter side? Maybe a picture would help me with how it’s supposed to look. I know the one there shows it but it’s hard to tell which side is sewn. Also do you have a picture of the final product that’s not on a child after its flipped over? I need to frog it if I have sewn up the wrong side. The hdc are around the face, so sew across the top. Does that make sense? 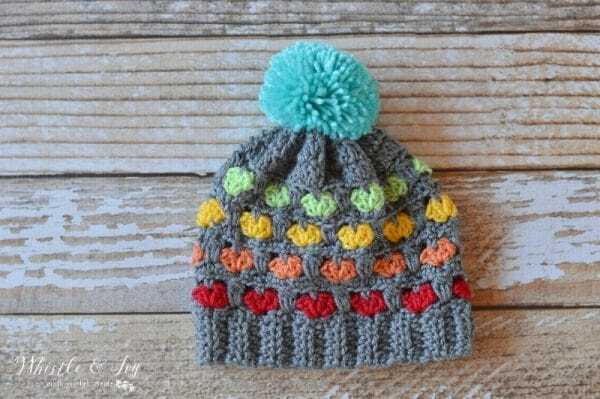 Do you have an adult size in this pattern? Not yet, but I am working on it! YEEEAAAA! I was going to ask the same thing so thanks for working on an adult pattern, I appreciate it! I was wondering if you had the measurements for this piece? Either each individual part or as a whole. I’m making it for a friend from out of town so I have no idea of a toddler size. Thanks for sharing the pattern either way! Such a cute piece. Oh dear! I am sorry I didn’t take note of the individual pieces and I don’t have a finished one on hand. This piece fits 2-4 year olds, is your friend about that age? It fit my 2 year old, as well as my 4 year old! If you achieve the gauge, yours should be the same size as mine. That is so cute for any toddler!! 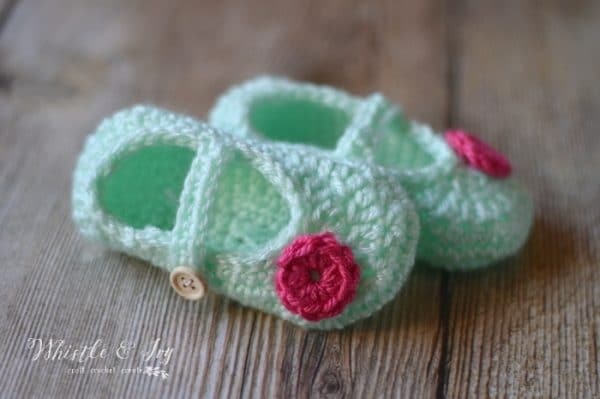 This is absolutely one of the most adorable crocheted items I’ve seen in a long time. It looks so cute on her. My daughter would love to wear one of those too. Thank you for sharing this with us on the #HomeMattersParty. We hope to see you again next week when we open our doors at 12AM EST on Friday. Wow! Thank you very much Crystal!!! Thanks for this free pattern. It is exactly what I was looking for to make for my granddaughter. This is absolutely adorable! Pinned!